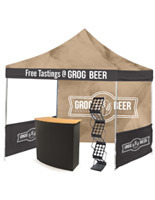 Want to have a striking event booth that will leave an impression on passersby? 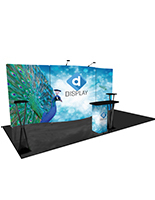 These complete custom trade show kits will create a high impact presentation that leaves a lasting impression on attendees. 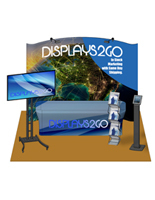 What better way to increase brand visibility than with large, customized graphics and high- quality dynamic displays? 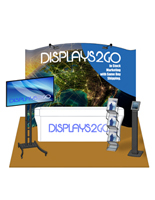 Complete custom trade show kits are excellent for showcasing businesses because they broadcast your logo, mission, and services in an extravagant way. 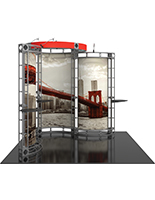 Our selection of premium exhibit packages includes a variety of ways to promote your company and your brand. Some of these include literature holders, tablet stands, and printed banners. 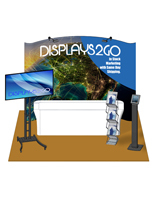 Browse our complete custom trade show kits for the perfect promotional solution. 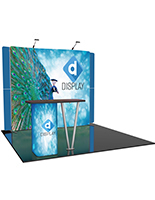 Why choose one of our high impact booth packages? Our complete custom trade show kits are top of the line. 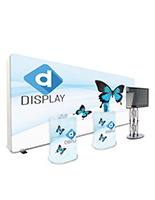 You won't find better supplies for creating an enticing presentation at your next event. 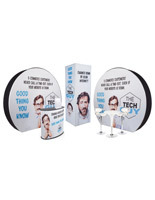 These premium custom trade show kits include high- quality graphics, printed in full color on durable materials. 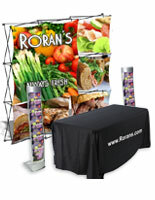 Feature personalized images with large banners, a curved backdrop, and over your countertop. We offer professionally printed images that can represent any company's image in full color, no matter how complicated. This backdrop is a great introduction for visitors approaching your booth because they'll be able to see it from a distance. 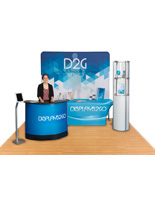 We include a sturdy tabletop that acts as the focal point for your exhibit. Use this area to feature product samples and promotional materials that you can distribute to attendees to create a lasting impression. 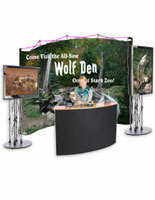 Our custom trade show kits let you feature dynamic ads and interactive user experiences as well. 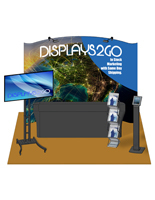 Event booth sets with high-definition flat panel displays are another way to entice passersby from afar and engage with attendees. 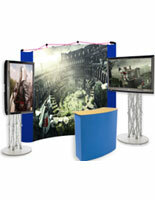 We offer large format screens with sturdy stands and adjustable height supports. Give visitors an interactive presentation with tablet stands that feature a digital catalog or info about your brand. 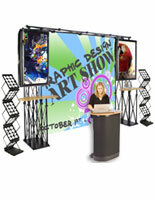 Trade show kits with LED spotlights are sure to make your signage pop at conventions. This is a great way to stand out and literally put your company in the spotlight. 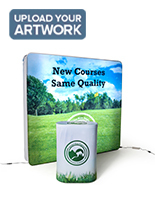 Why order these premium trade show kits? Each set includes carrying bags that make it easy to bring your supplies to events. Our event packages are shipped as quickly as possible and our artwork submission process is straightforward. 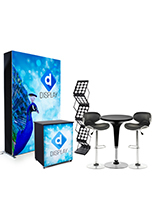 Choose from our large selection of premium booth kits that will help your company thrive. Learn the best practices in event etiquette now that you have the best supplies.